The ducts in your home are an integral part of its heating and cooling system. Without periodic maintenance, however, they can become repositories for harmful airborne contaminates. If not properly sealed, they can also drive up your energy bills in the winter and summer. Today, we’ll take a closer look at the benefits of having your ducts cleaned and sealed. Over the course of a year, an average family can generate up to 40 pounds of dust. Now consider the fact that the air in your home is re-circulated through its HVAC system roughly 5 to 7 times every day. Over time ducts can accumulate quite a bit of that dust, including airborne allergens and irritants. Because they’re dark, warm and sheltered, ducts can also be breeding grounds for mold colonies. Cleaning your ducts can help to ensure that you and your family are breathing clean, healthy air. This is especially important for people who suffer from allergies or respiratory issues like asthma. According to the Department of Energy, a typical home loses about 20 to 30 percent of the air that moves through its ductwork to leaks, holes and incomplete seals. This can compromise your HVAC system’s performance and cause a rise in your utility bills. If you’ve noticed that some rooms in your home are difficult to heat and cool, it could be because your ductwork needs to be resealed. 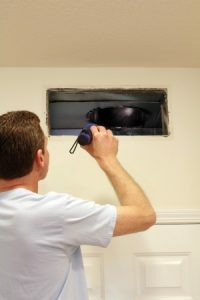 A home with properly sealed ducts will be more comfortable and energy efficient. Want to learn more about duct cleaning and sealing, or any of the other services we offer at Jun’s? Give us a call today for more information!